Our hands play a vital role in daily lives as we can write, eat, work, hold our kids, shows gestures and even communicate with our hands. We, by and large, consider them for granted, until the point when something wrong happens, and we are no more ready to utilize them as we did earlier. There is a band of tissues encompassing wrists that incorporates ligaments and tendons. The limited space that is formed between the bones and ligaments in the midpoint of the wrist is known as the carpal tunnel. The median nerve runs through this gap, which controls the sensation in the thumb, first three and a half fingers without affecting your pinky finger. At the point, when the tendons that pass through the carpal tunnel get inflamed, they can disturb the median nerve, resulting in pain, numbness, and tingle in your hand as well as the arm. This is known as carpal tunnel syndrome. Pain from carpal tunnel syndrome can have a significant impact keeping you away from working and doing primary activities, for example, cooking, tying up your hair, brushing your teeth and so on. Beyond a doubt, the most commonly recognized musculoskeletal disease influencing hands is carpal tunnel syndrome (CTS), which causes tingling in addition to numbness in the fingers. It’s somewhat common, and can affect anybody at any age yet has a tendency to happen more in females and especially in those who are obese. More often, it is activated by our everyday routine activities and relieved by rest. Carpal tunnel syndrome (CTS) affects around 1% of working age individuals and is the most common reason for hand pain in manual workers. It is additionally an expensive musculoskeletal problem with 450,000 carpal tunnel releases yearly in the USA, at an aggregate cost of 2 billion dollars. What are the Known Causes of CTS? To start with, one of the reasons why we may perhaps get carpal tunnel syndrome and why it pains so much is the trouble zone. The impacted area that lies just below the center of the wrist, a narrow tunnel through which the median nerve along with the nine tendons become connected from the forearm to the hand and fingers. Another potential reason is a consistent, repetitive motion, for example, writing, gardening, typing, cutting, handling tools, cell phone texting, video games, etc. Treatment for carpal tunnel syndrome relies upon the severity of the nerve damage and your preference. At times, CTS gets better following a couple of months without treatment. You should endeavor to avoid any movements that aggravate your manifestations. If your work includes using a computer keyboard, there is evidence that adjustments in your work environment are probably going to assist in moderating your symptoms. If an underlying disorder causes carpal tunnel syndrome, for example, rheumatoid arthritis, osteoarthritis, tumors, etc. managing the cause would improve your symptoms. Conversely, if the median nerve is severely compacted (compressed) or the signs are long-term (chronic), permanent nerve damage in addition to muscle wasting can happen, and treatment will be necessary. Resting from the exasperating caused is vital. Education plus awareness about the warning signs, postures or activities possibly causing carpal tunnel syndrome are essential to know about. A wrist splint is put on to give support to the wrist and avoid its bending movements. Bending places pressure on the nerves and exasperates manifestations. You would start to see a change in your symptoms within a month of wearing the wrist splint. To prevent CTS, stop continuing anything that makes you repeatedly bend your wrist or grip hard, for example, utilizing vibrating devices for work or playing an instrument. Stretch your wrists consistently. Stretching your wrists every day can be useful for decreasing or limiting carpal tunnel syndrome’s symptoms. Specifically, stretching out your wrists makes more space for the median nerve within the carpal tunnel as it extends the encompassing ligaments. An ideal approach to broaden/extend the both wrists in the meantime is making the "prayer pose." Place your palms together around 6 inches facing your chest and elevate your elbows up until you feel a stretch in both of your wrists. Hold this position for 30 seconds and repeat 3 to 5 times per day. On the rare chance that you think tedious activity causes your CTS; apply ice on your wrists twice per day for 15 to 20 minutes. The cold diminishes swelling and the subsequent pain. For best outcomes, try an ice pack or wrap a towel around a bag of frozen peas wrapped in a towel. Doing exercise would not harm you, however, when you have CTS, the numbness, tingling and throbbing pain in your wrist and hand can complicate your life. It can be hard to work, to play games and carry on with your hobbies and even to relax simply. Try not to take painkillers. There is little evidence to state that painkillers like acetaminophen or ibuprofen resolve the symptoms of CTS. There's a measure of evidence that states hand exercises, yoga and needle therapy help relieves the symptoms of CTS. Aspects of poor prognosis, for instance, fear avoidance behavior, the fright of movements, depressive or negative state of mind, strife at home/work and money related issues ought to be likewise searched. Regardless of whether you are a racket sports competitor, weightlifter, golf player or just on your computer throughout the day, adding in wrist strength and mobility into your fitness regime is critical to your physical wellbeing. For individuals who play racket games and requires grip strength, squeezing stress ball is an essential exercise. Hand strength not just enables you to hit the ball harder, it also permits to you achieve a harder and more grounded pace. The muscles related to the wrist and forearms aren’t huge, so you may not notice visible results, but instead, you'll see a difference in your strength reasonably fast. Your grasping strength, as well as the stability of wrist, will be enhanced by using stress balls. Additionally, in the workplace, you may utilize a personal computer all day without understanding the hazard to your hands. Eventually, this strains your hands and the carpal tunnel which influences your nerves explicitly prompting the distress and pain. Distinctive activities can prevent with CTS utilizing a stress ball. Before you begin these exercises, it is imperative to know what you are going after. For that, squeeze the stress ball in your hand for 5 seconds, keep in mind to include your thumb too, and after that release the stress ball. An excellent time to do this exercise could be when you are resting or watching TV or even going for a walk. You'll need to repeat squeezing and releasing for 3 seconds each time and fifteen times on each hand. This implies more toxins are eradicated from your blood, and these may be the ones causing the aggravation in the carpal tunnel. This detoxification procedure has been found to ease torment and help individuals experiencing the condition to perform ideally without the requirement for surgery. While at work, your hands are always moving, which strains the muscles. Far more dreadful, your hand muscles are predisposed to damage as the muscles weaken which leads to CTS. Regular exercises utilizing a stress ball helps your muscles become stronger, and this decreases the danger of injury. Continuous use of your hands when they are hurt is one reason for CTS and exercising using a stress ball encourages you to avoid the occurrence of CTS. Stress ball exercises are implied for pain-free wrists. If any of the wrist strengthening exercises cause pain and inconvenience, decrease the number of repetitions or discontinue. It is fundamental to talk to your physical therapy specialist before purchasing a stress ball, to be aware of exactly how to use the squeeze ball correctly. Many individuals accept that activities to strengthen the wrist will relieve carpal tunnel syndrome, but it's the inverse in some cases. It has been clarified that squeezing a stress ball and lifting little weights add to the issue by increasing irritation in the tendons and median nerve. Though the use of squeeze balls may be helpful in the prevention of CTS, in some instances, it is not recommended after the onset of CTS. These are harmless for practically everybody, but apparently, check with your specialist before attempting them. 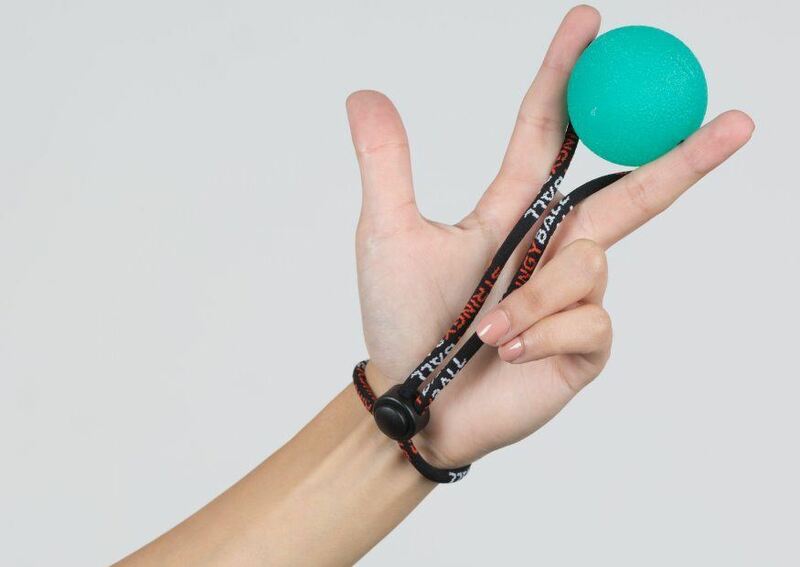 Being an extraordinarily designed therapeutic stress ball on a string in the marketplace, StringyBalls can altogether lessen the uneasiness related with the mild to moderate carpal tunnel syndrome. Using it has shown to ease the affected muscle and nerve along these lines decreasing the symptoms. Squeezing can influence the wrist muscle strength which will, ultimately, guard the carpal tunnel. While the rolling the stress ball will relax as well as release the tension in muscles and tendons, unlike ordinary stress balls StringyBall which has an adjustable flexible cord makes it less demanding to adjust and carry, making it perfect for CTS subjects. How To Prevent The Onset Of Carpal Tunnel Syndrome? In the work environment, workers can do on-the-job training, perform stretching exercises, take repeated intervals or rest breaks and make sure to adopt correct posture plus wrist position. Wearing fingerless gloves can help in keeping hands warm and flexible. Workplaces devices and instrument handles and tasks can be updated to empower the worker's wrist to keep up a natural position for the period of work. Jobs can be rotated among workers. Employers can create programs in ergonomics, with the goal of adjusting workplace conditions and job loads according to the abilities of workers. These changes can overall prevent the incidence of carpal tunnel syndrome or any similar injury.